We’ve set up Cow Camp for cattle drives in the Sweetwater or on the Plateau. You’ll camp out, cook out, and eat out. You’ll savor meals cooked on an open campfire and camp stove after a long day of riding the range. And nothing compares with the smell of hot coffee, eggs and bacon as your roll out of your sleeping bag early in the morning. You’ll ride, make new and lasting friendships, and possibly take a dip in the lake or water trough (remember: cold baths are invigorating!). 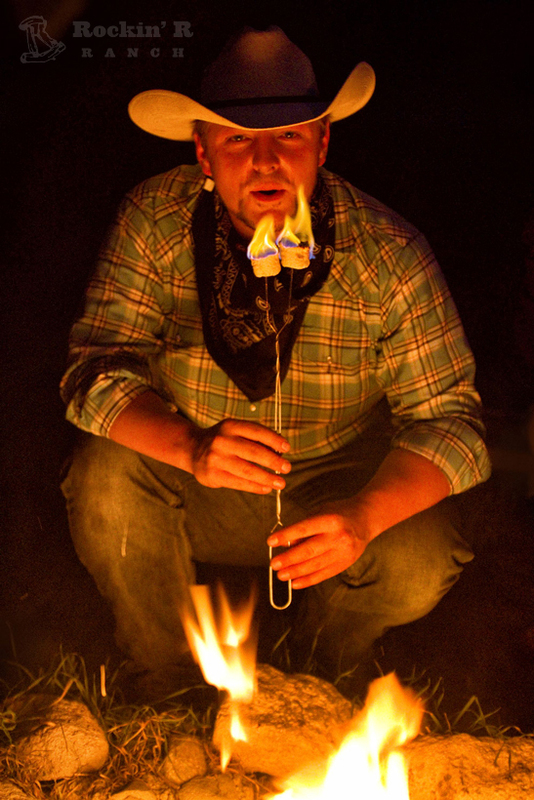 Best of all, when you ride into Cow Camp at day’s end, you’ll sit around the campfire under a blanket of stars and tell stories. You can even sleep under those same stars, or in one of our tents, if you prefer. There’s nothing else like it–and you’ll never be quite the same again.